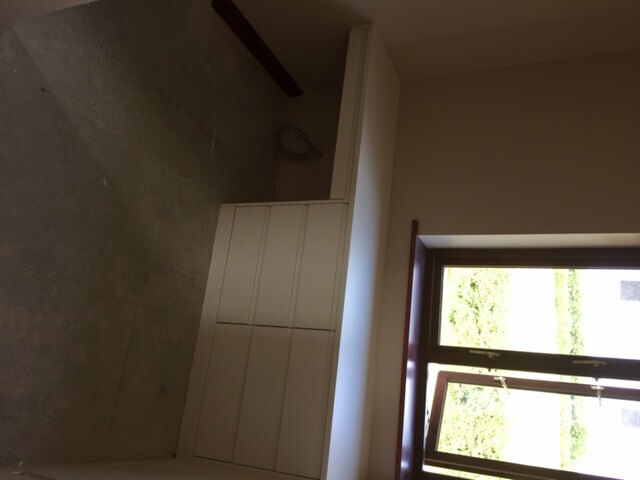 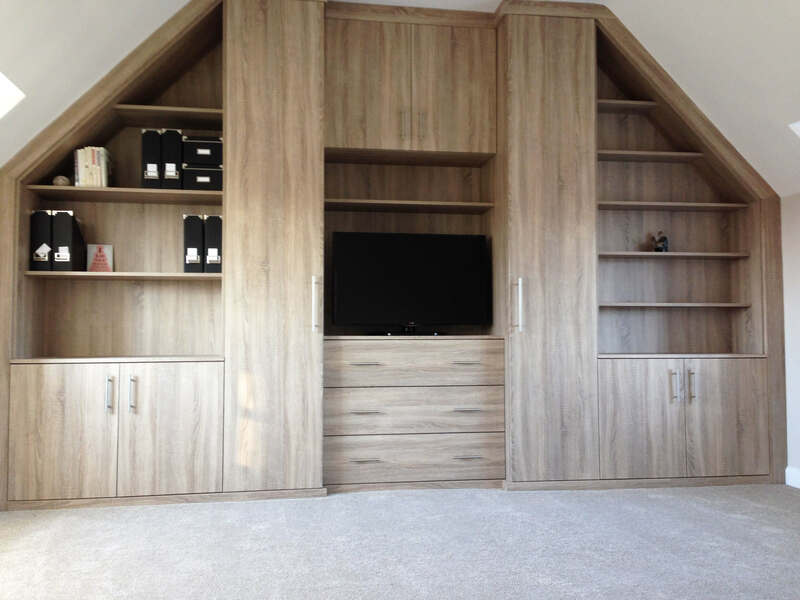 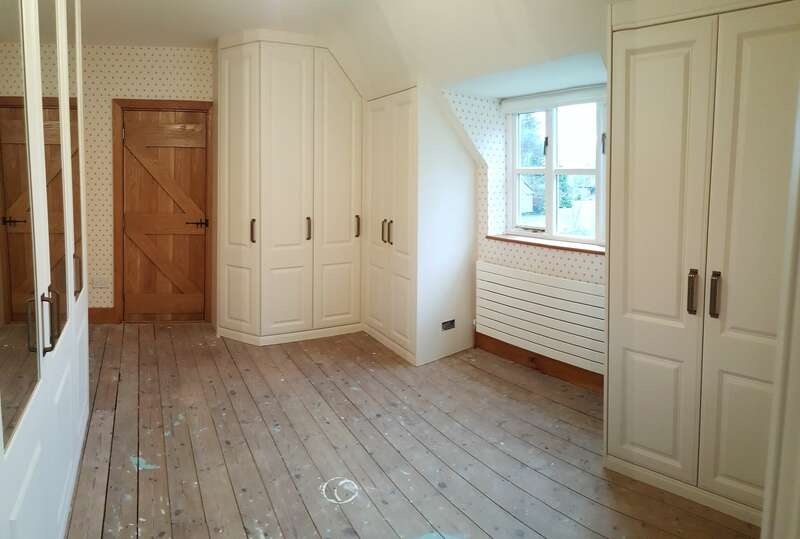 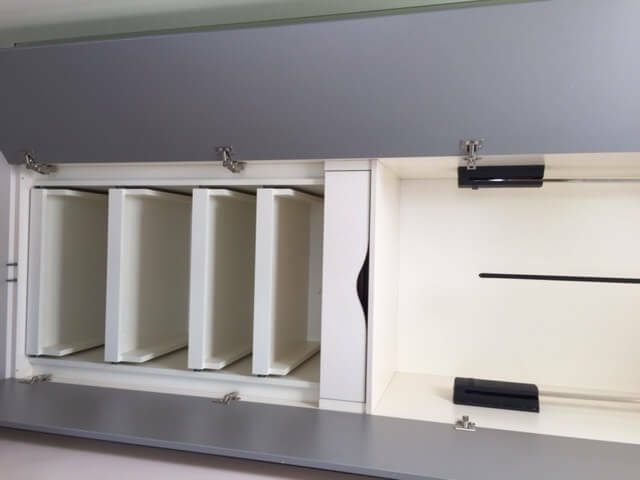 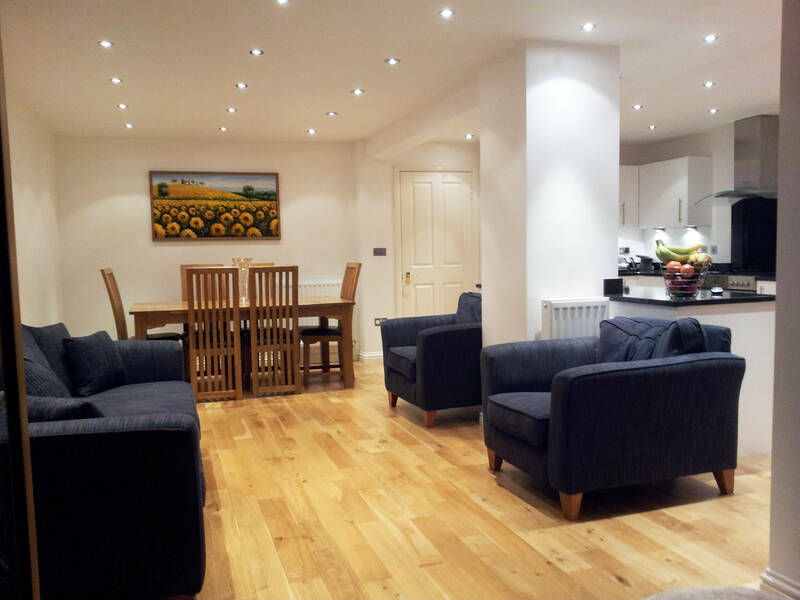 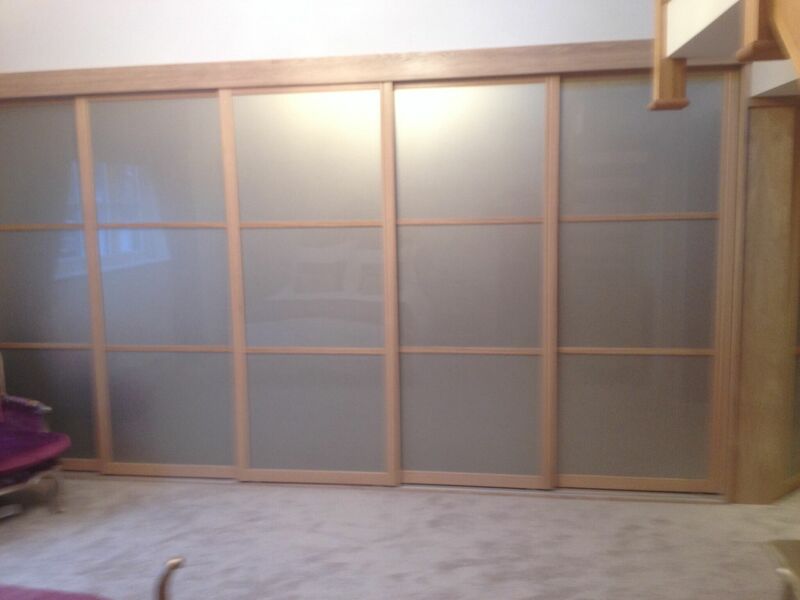 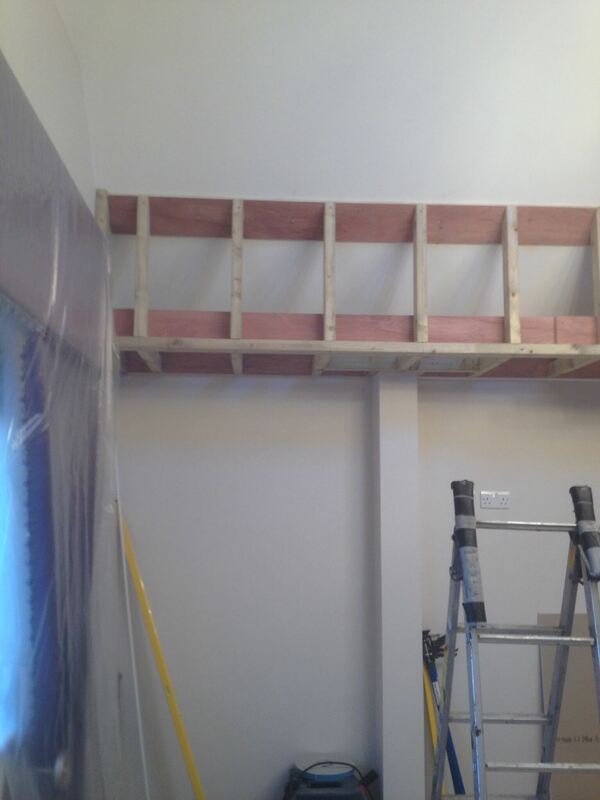 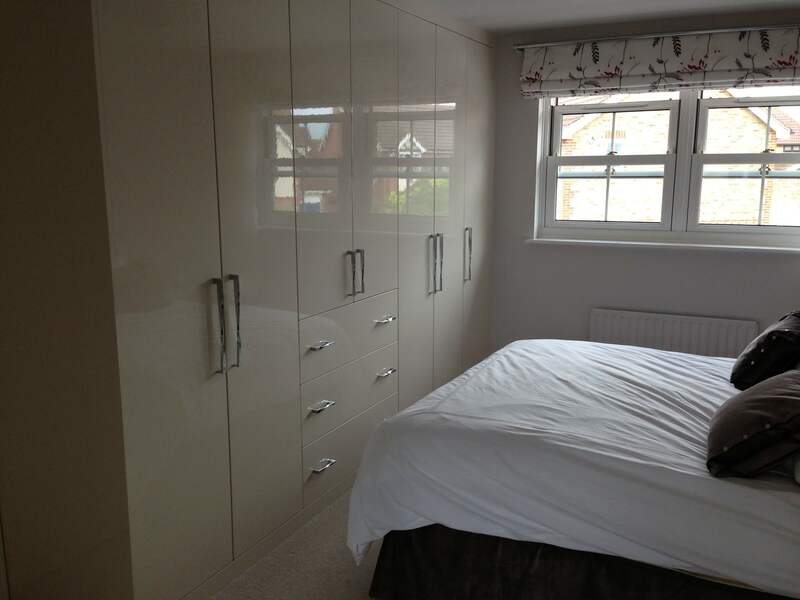 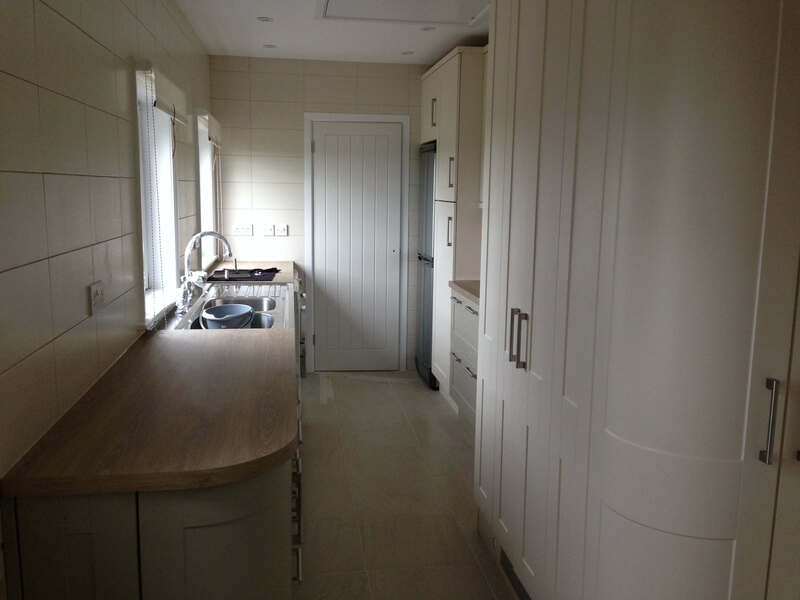 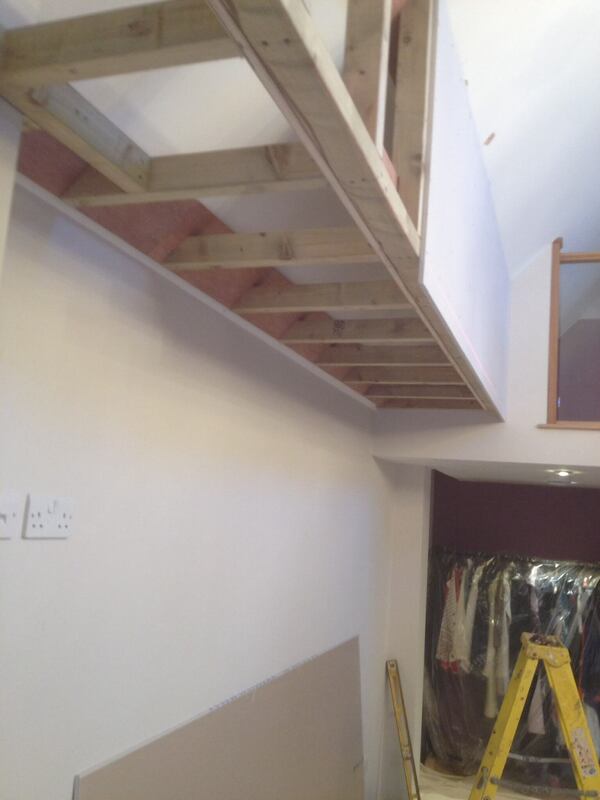 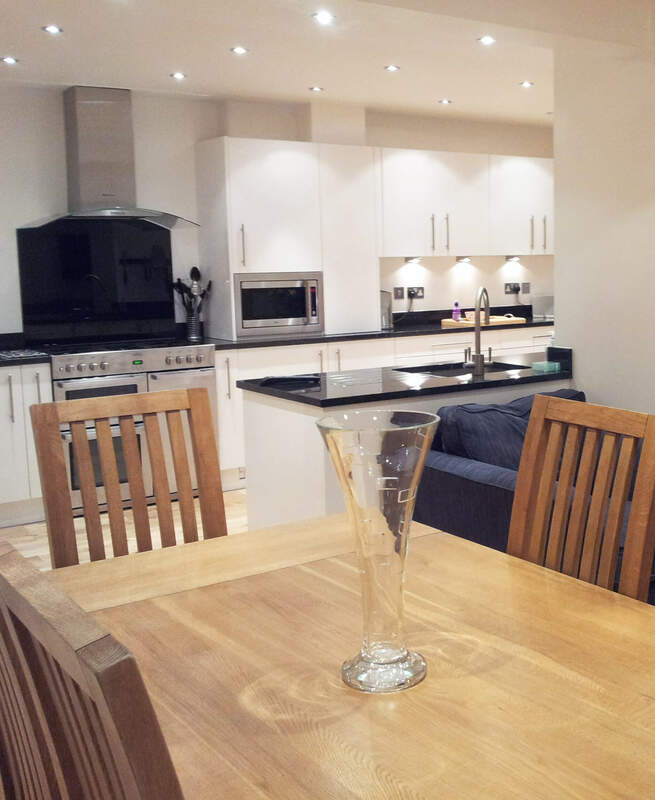 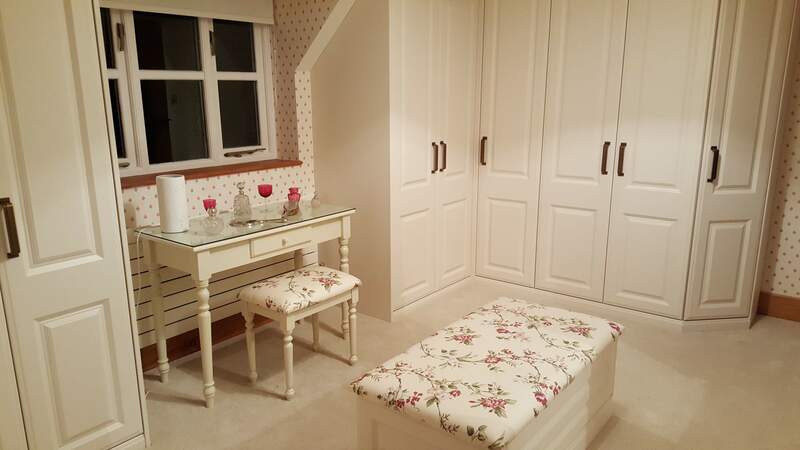 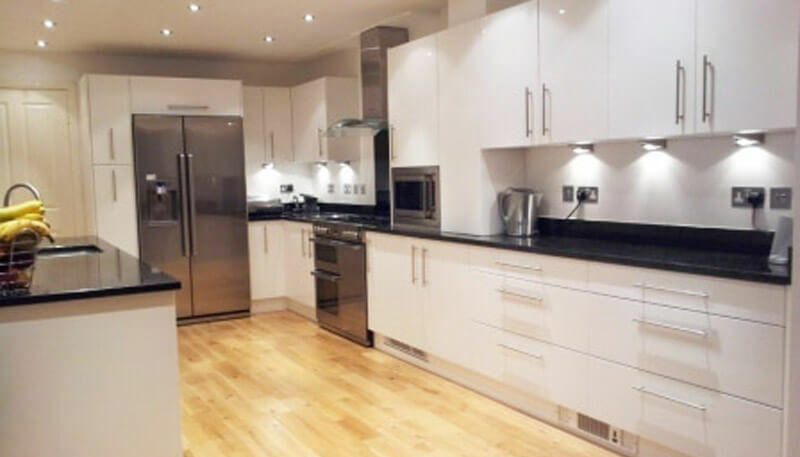 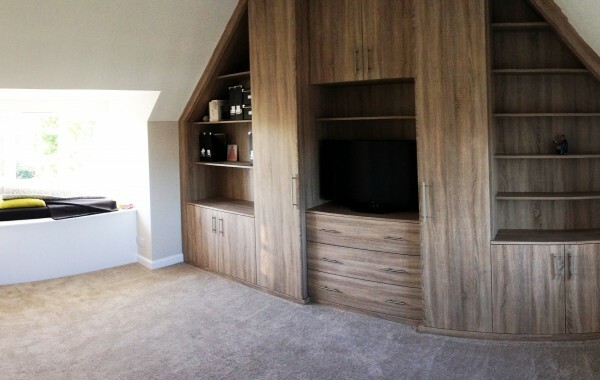 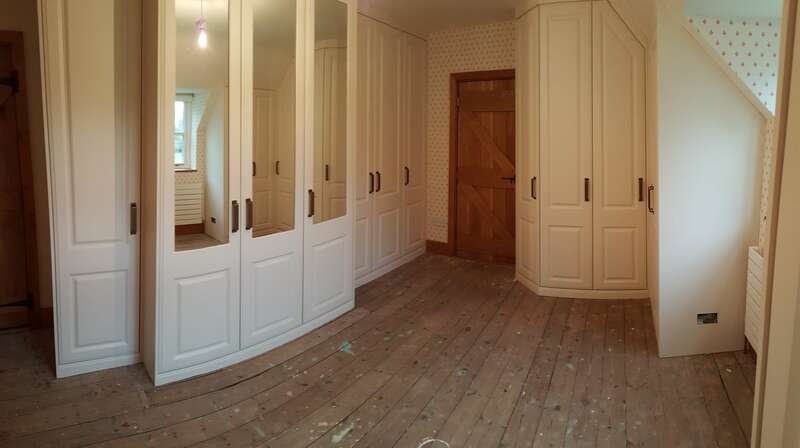 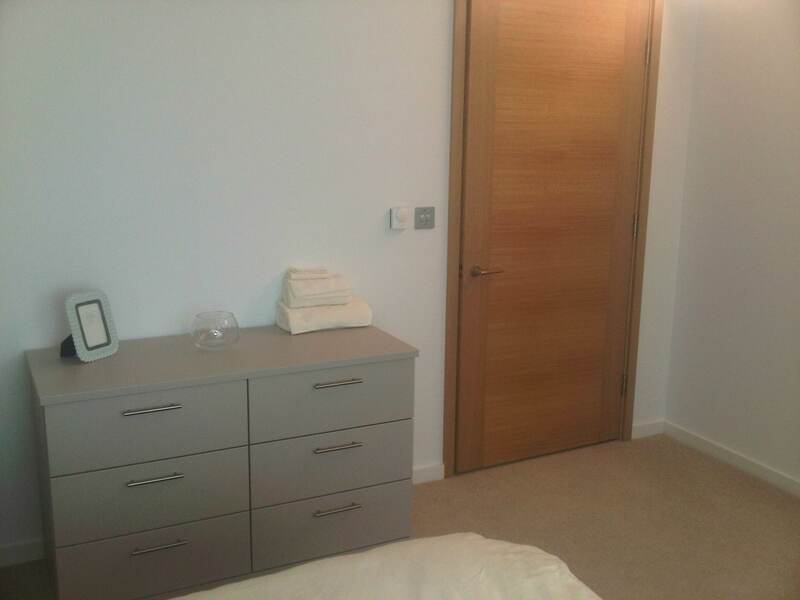 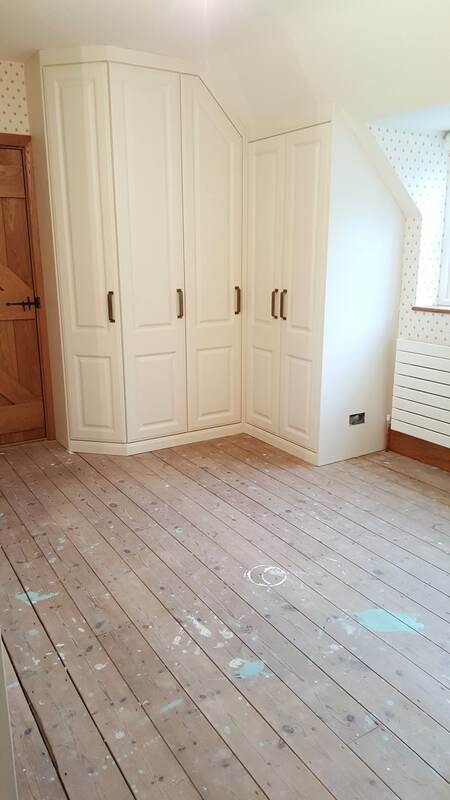 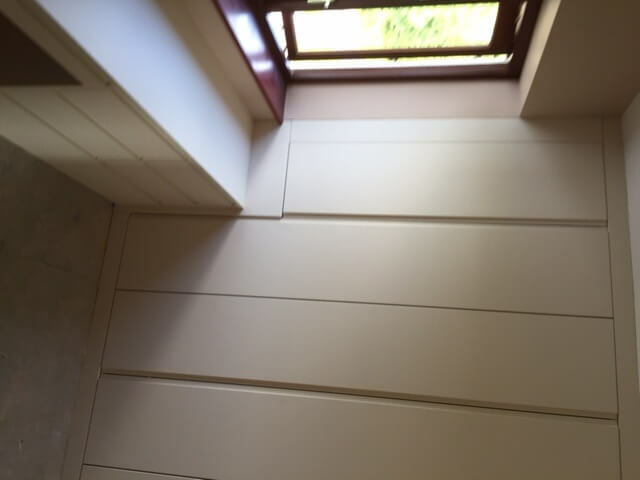 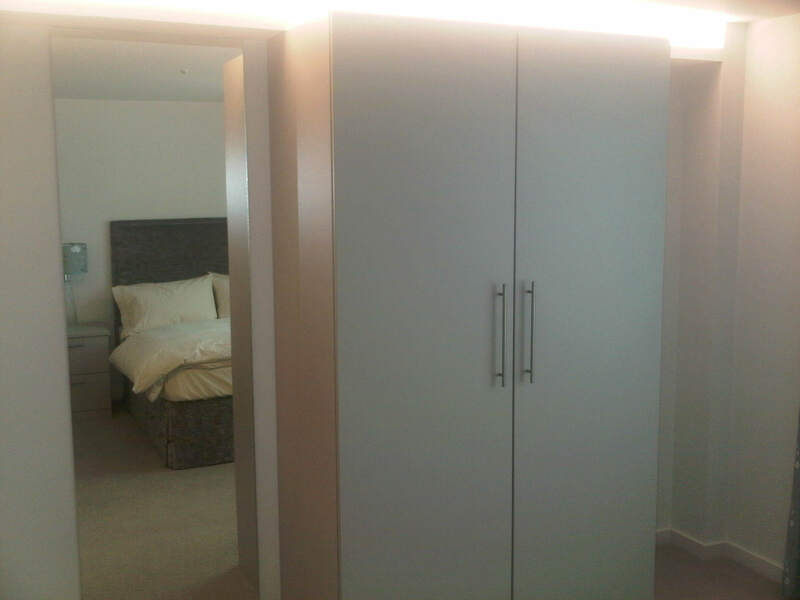 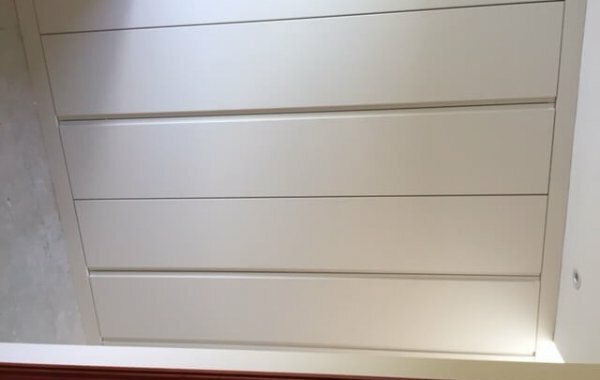 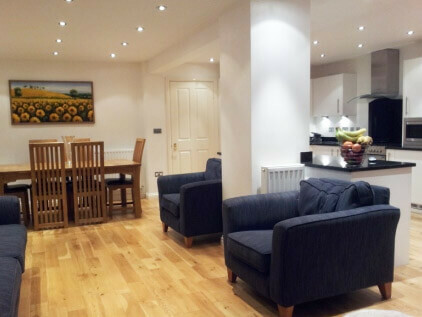 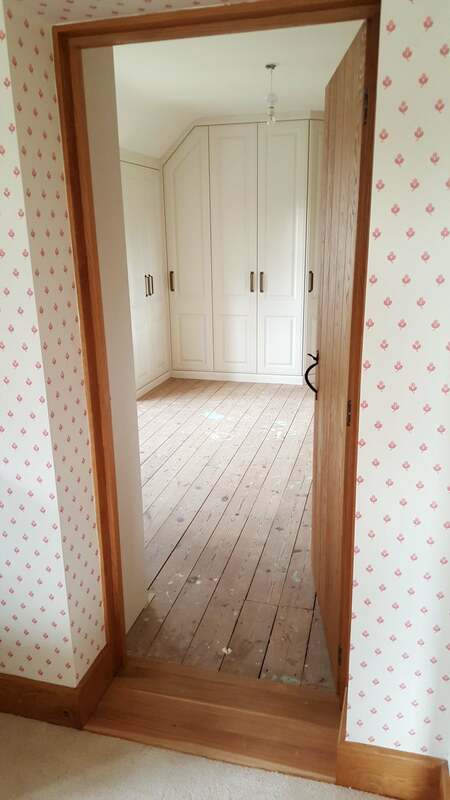 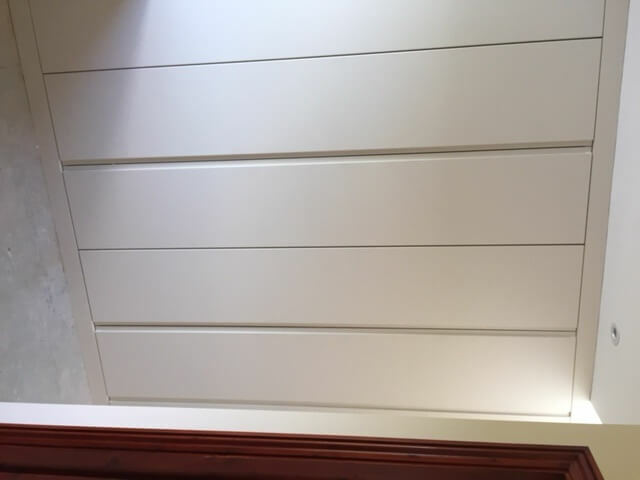 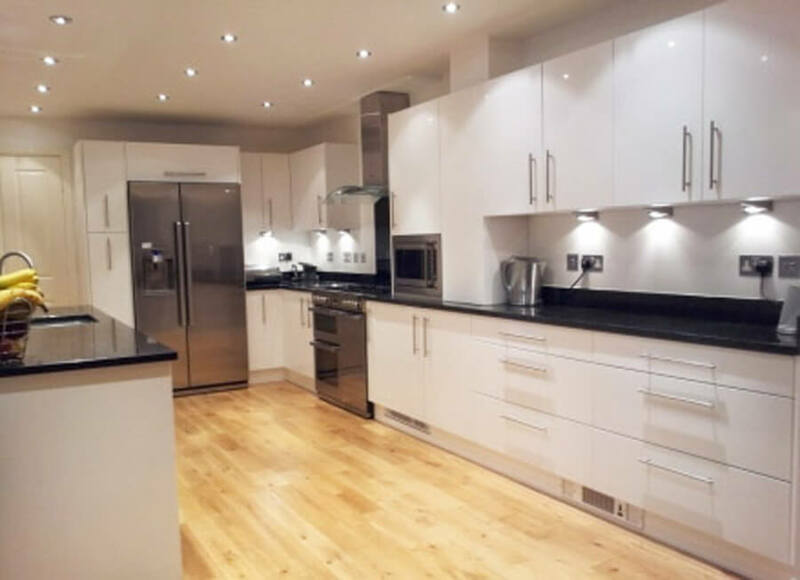 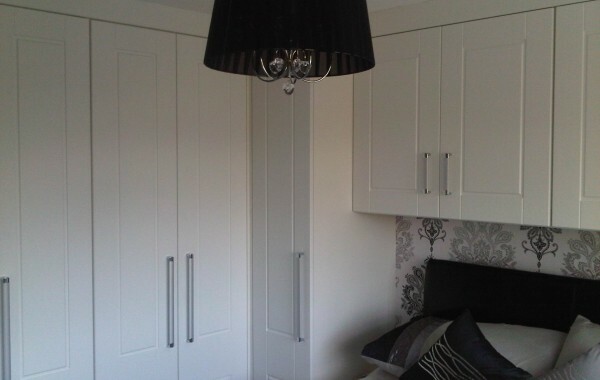 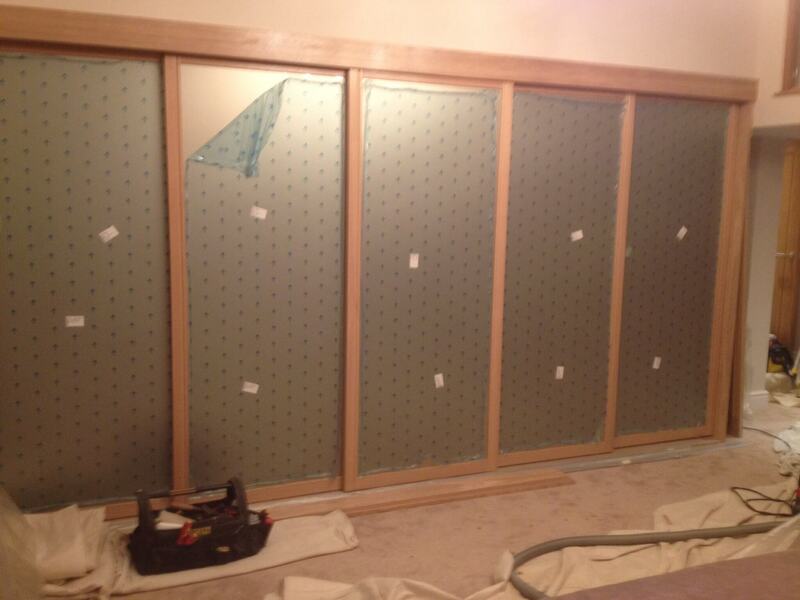 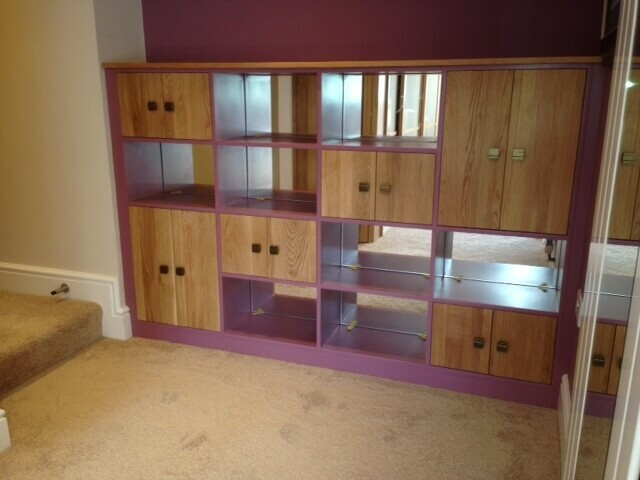 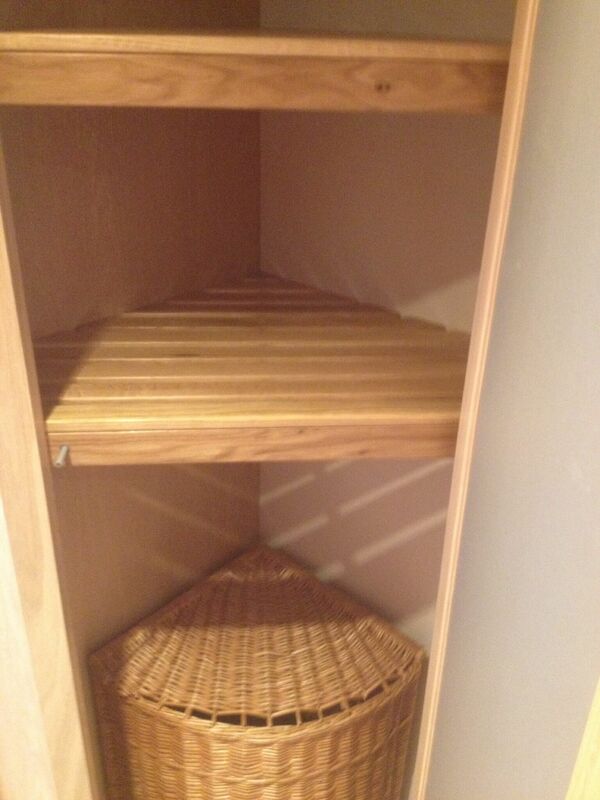 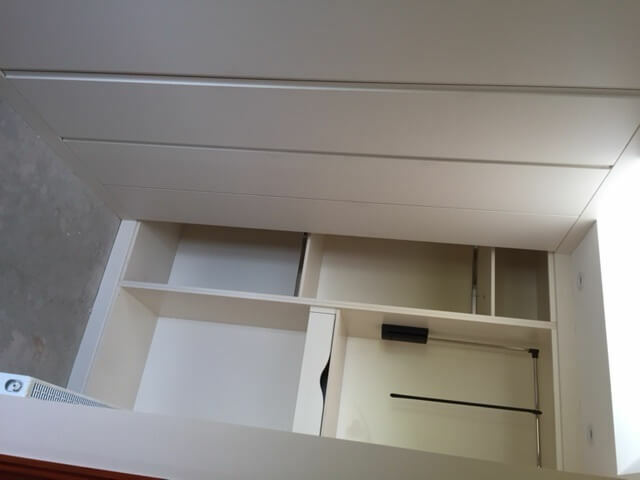 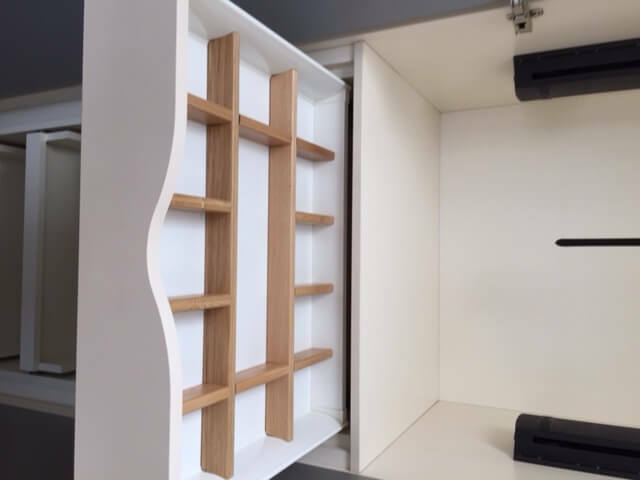 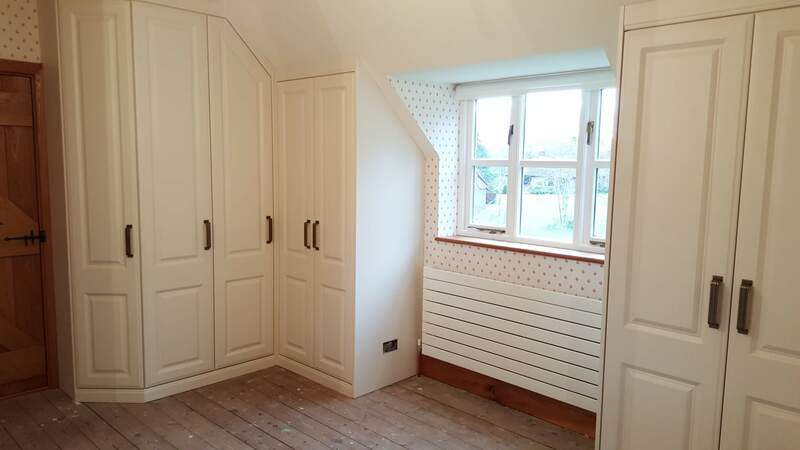 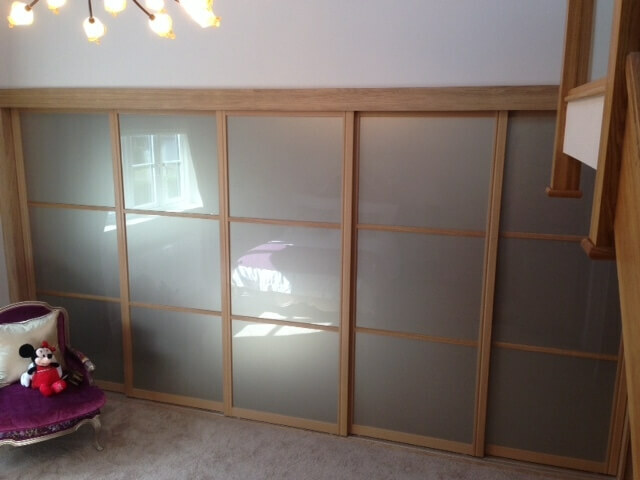 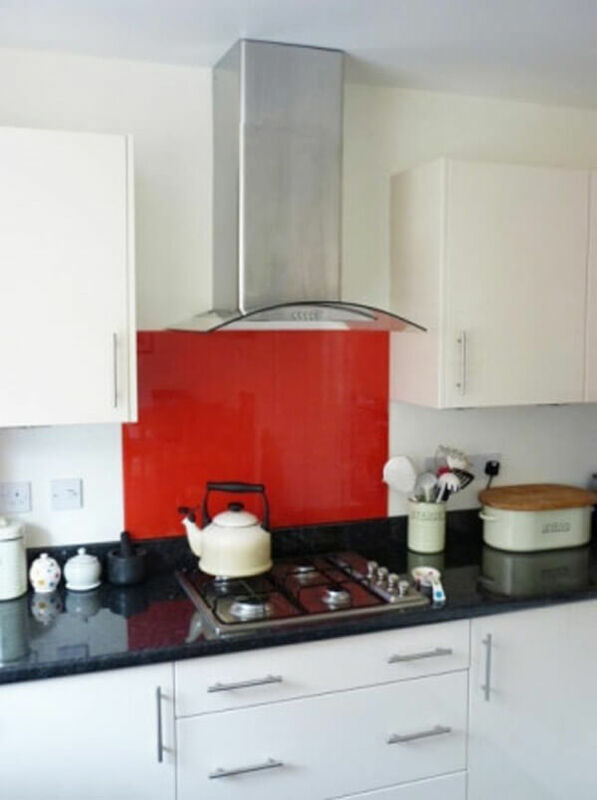 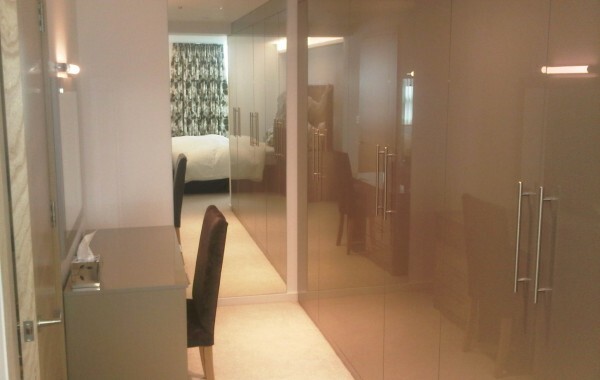 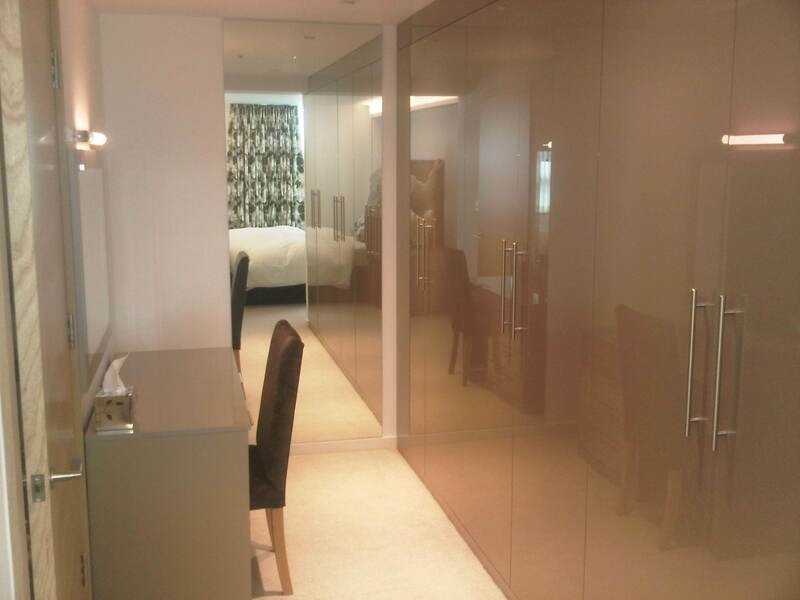 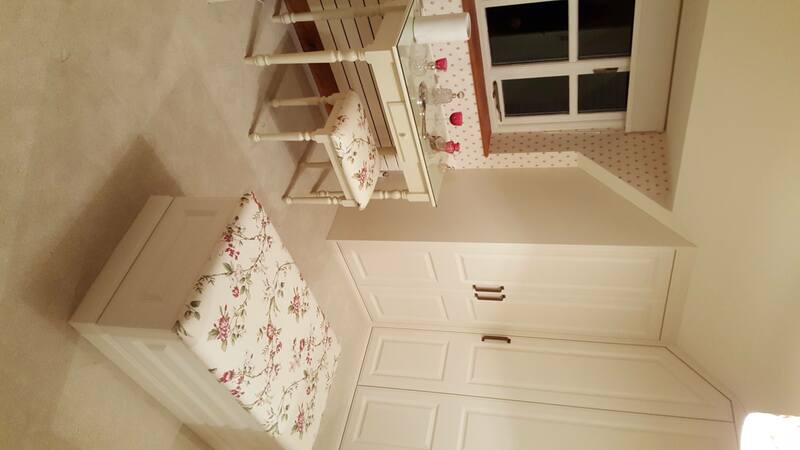 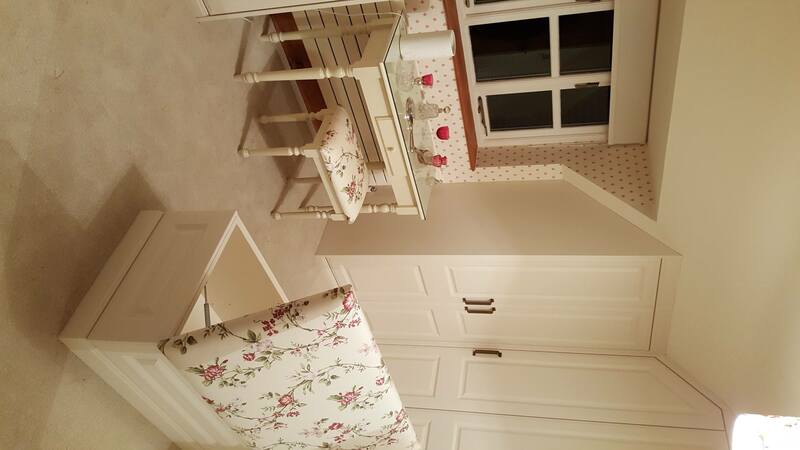 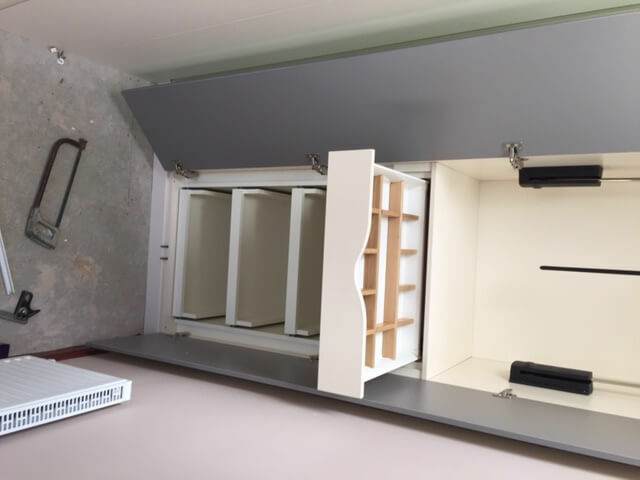 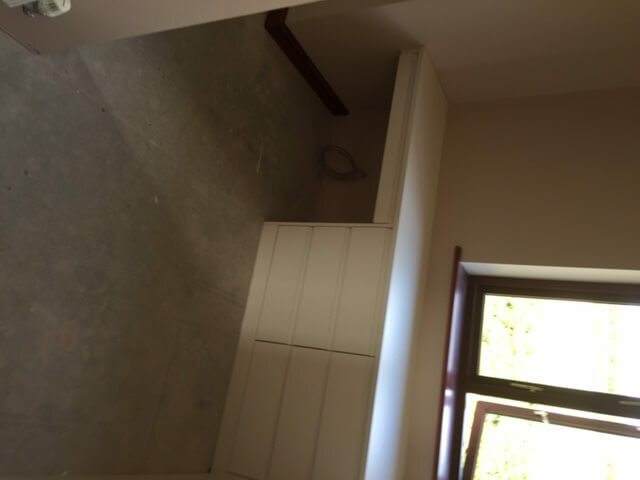 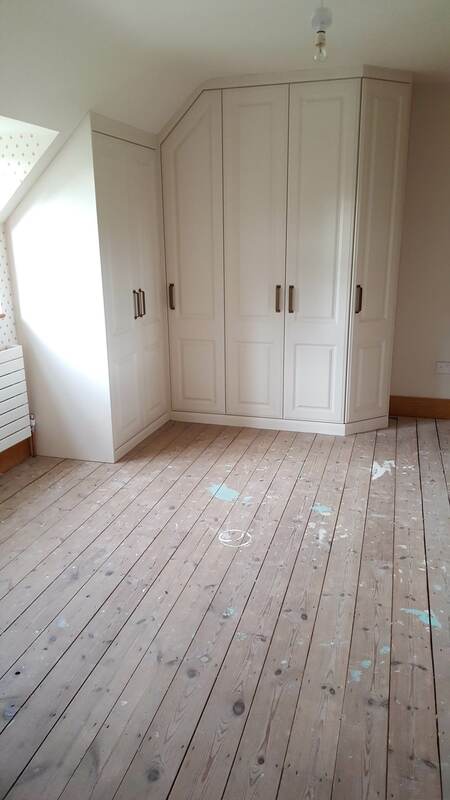 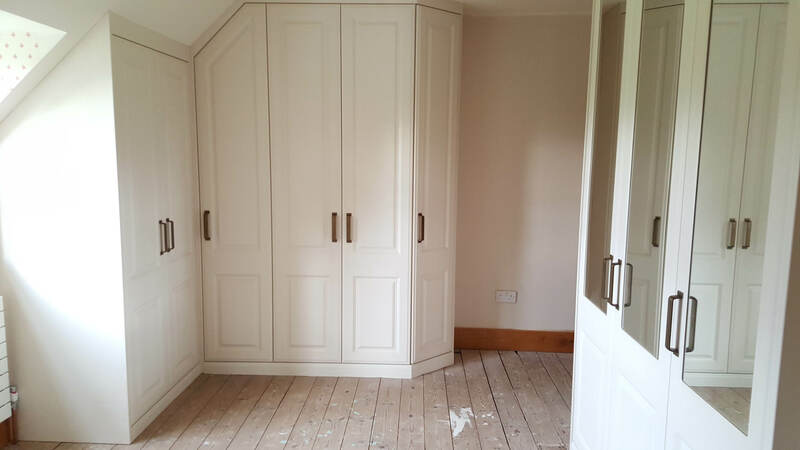 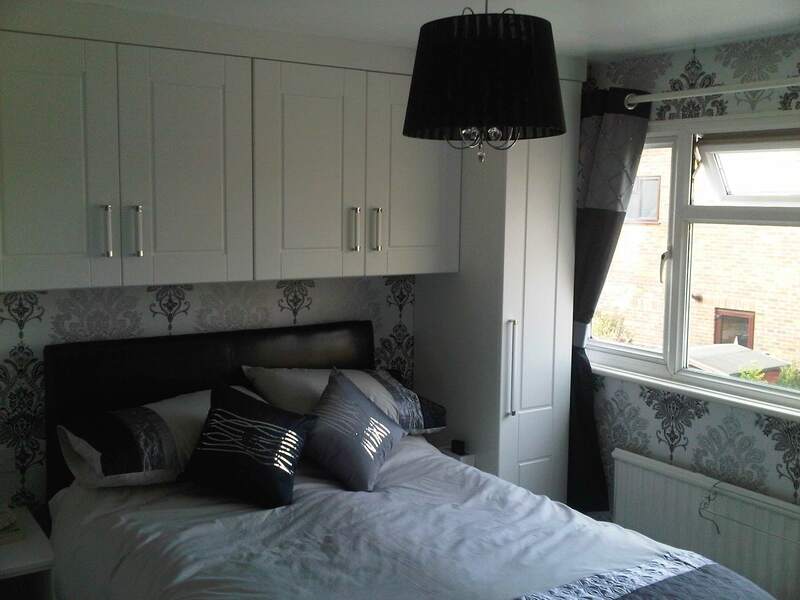 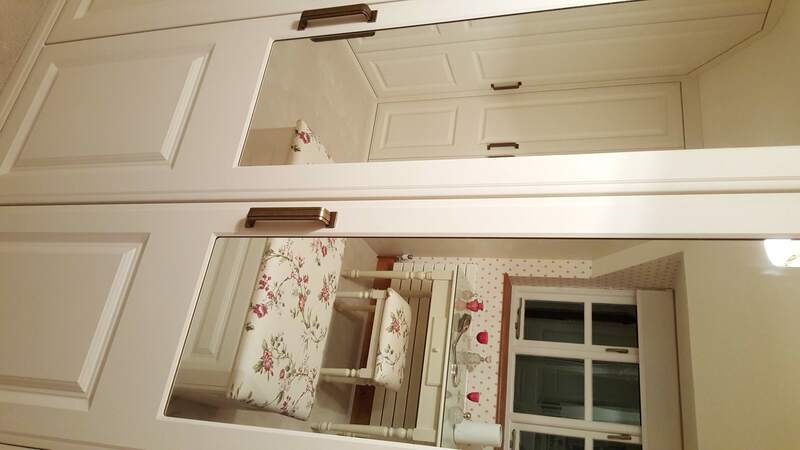 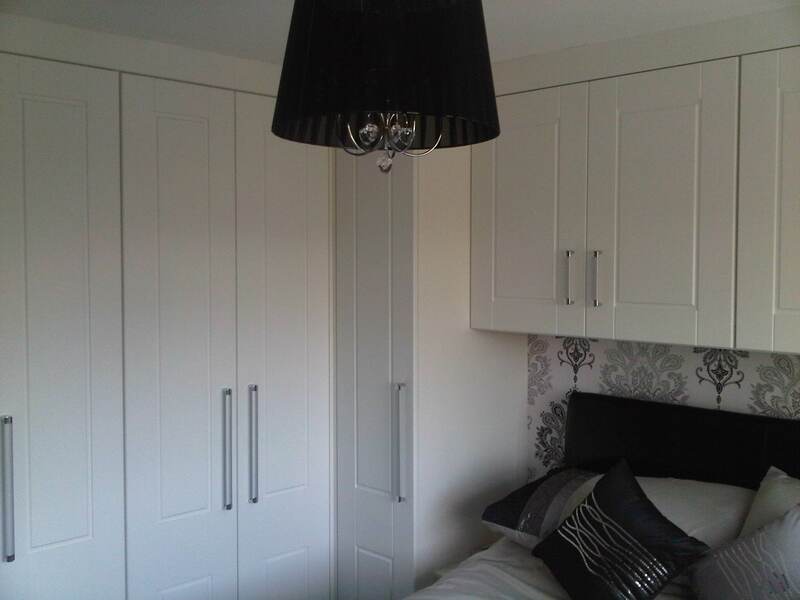 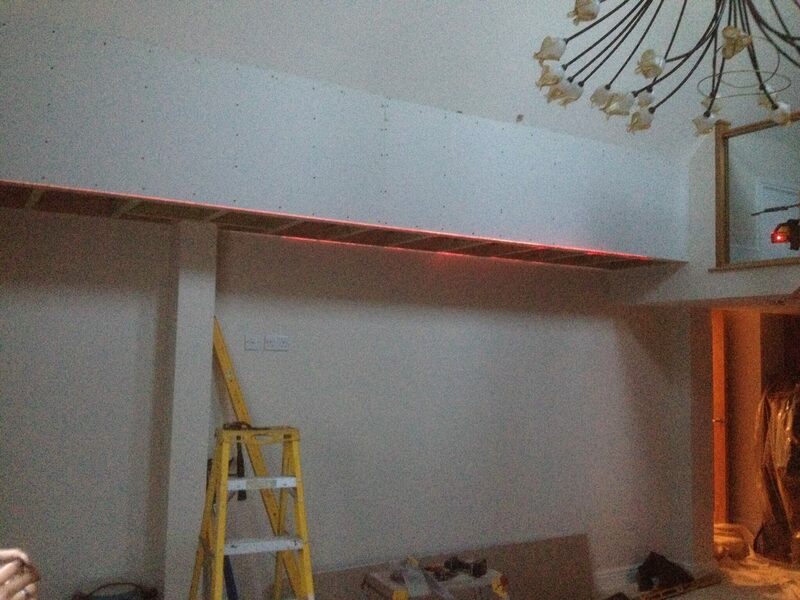 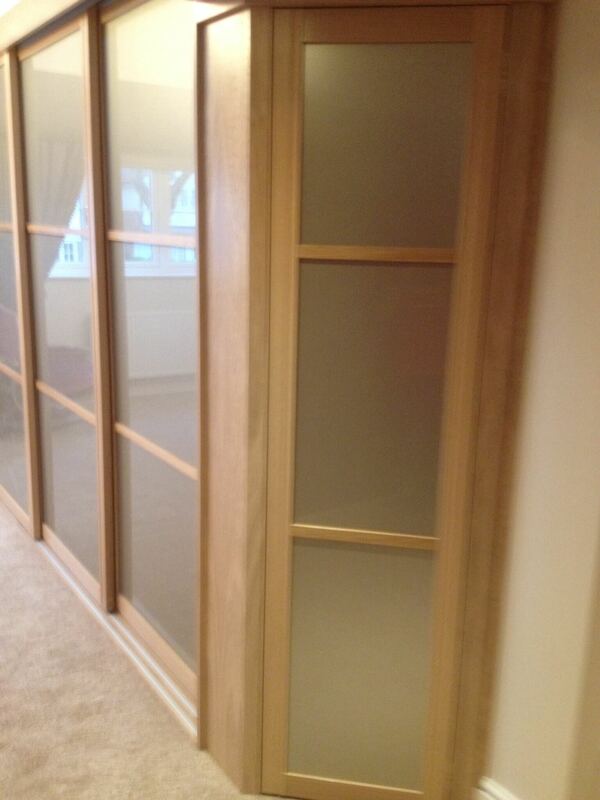 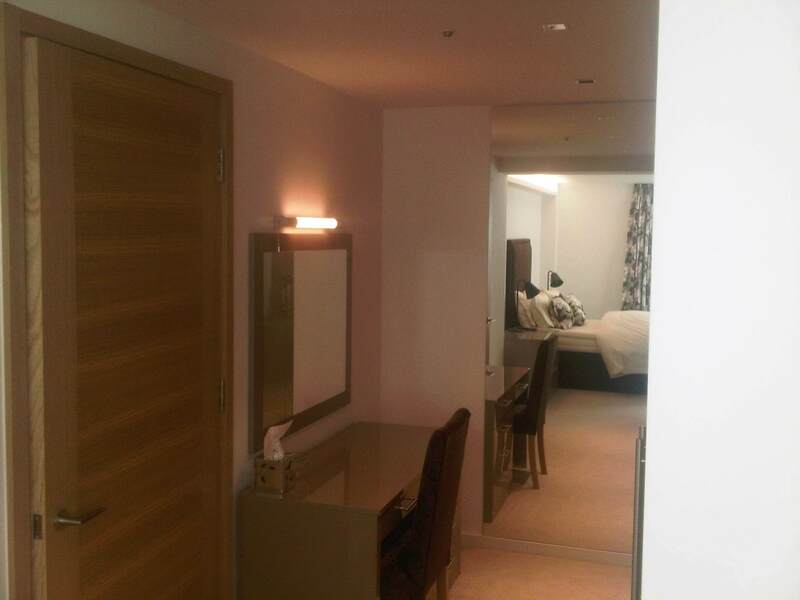 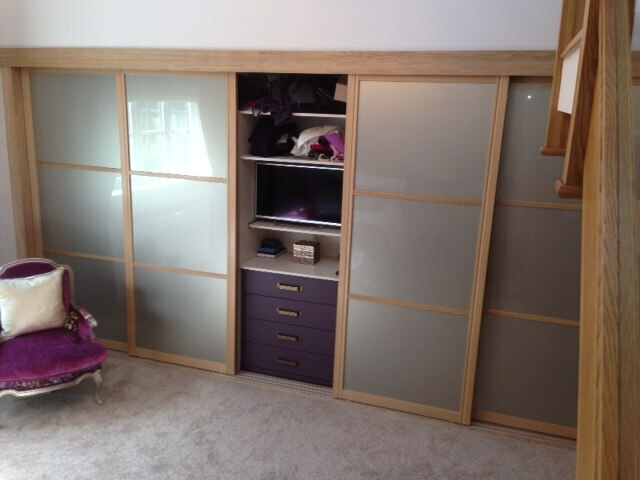 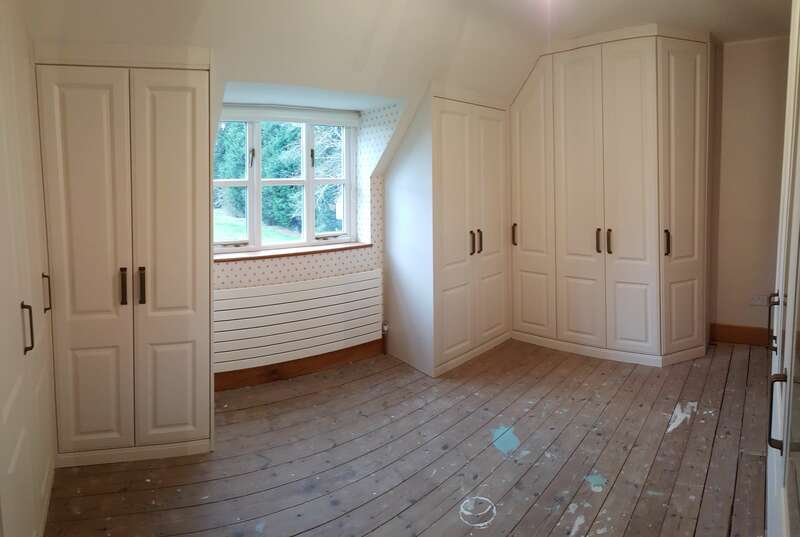 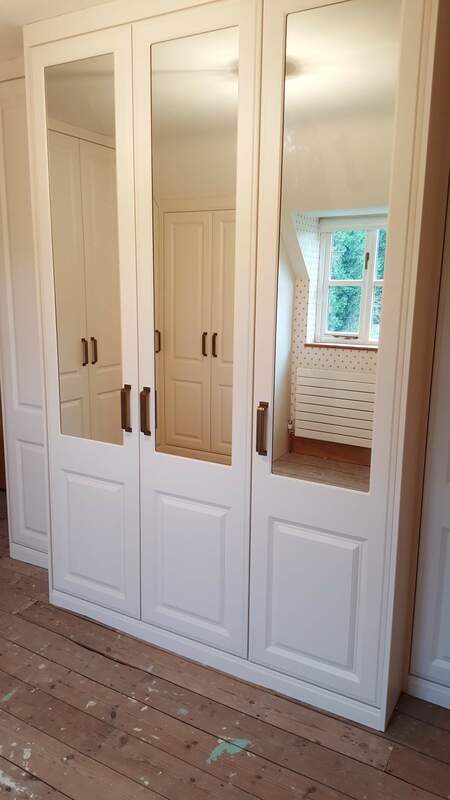 We manufactured these bespoke wardrobes to fit exactly to the sloping ceiling to maximise space. 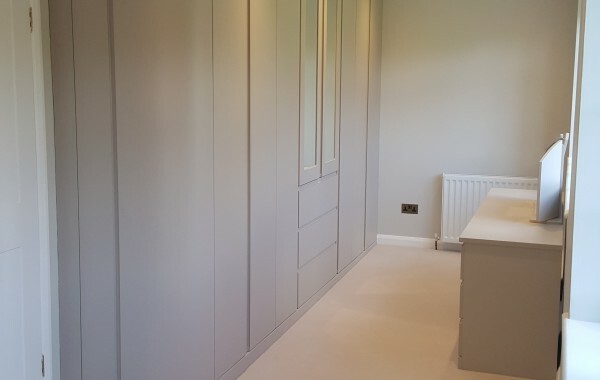 The customer chose the BA Zurfiz door in Ultra Metallic Champage for the Master Bedroom and Dressing Room and for the Guest Bedroom we installed the BA range door style Venice in Matt Cashmere. 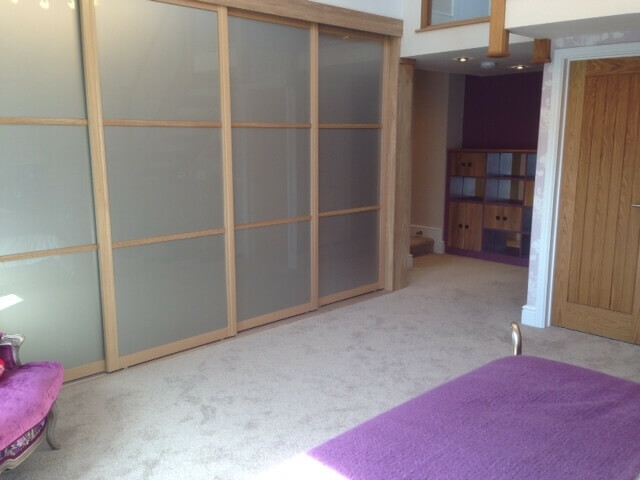 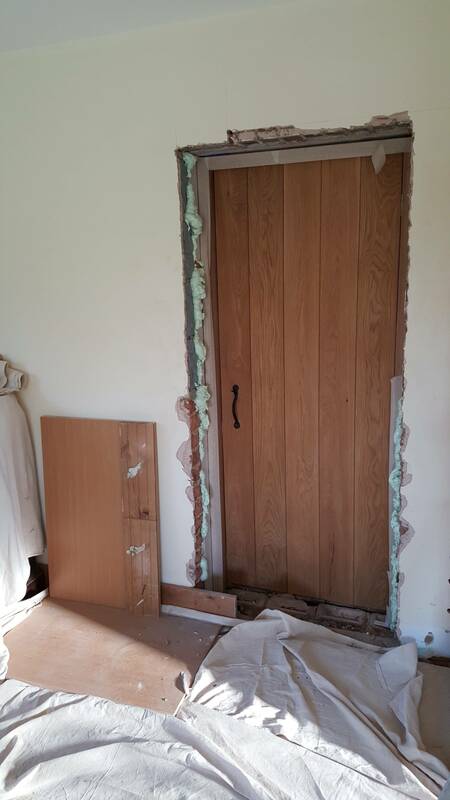 Installation of a bedroom sliding door system, 5 door, with wide oak frame and BA Zurfix range panels in Metallic Champagne. 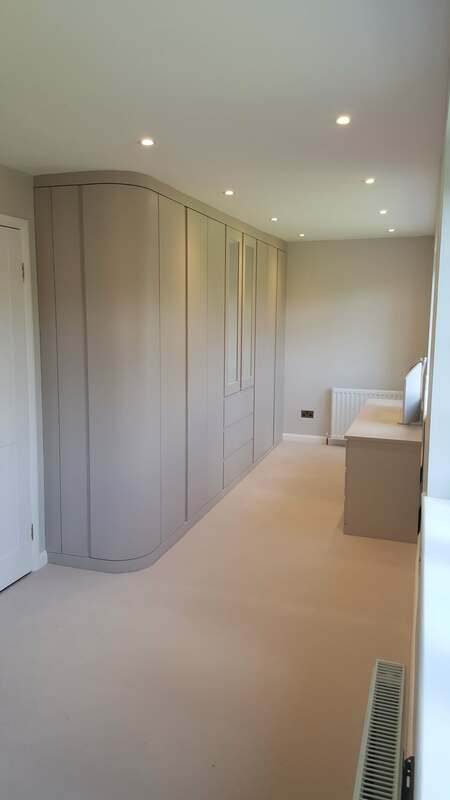 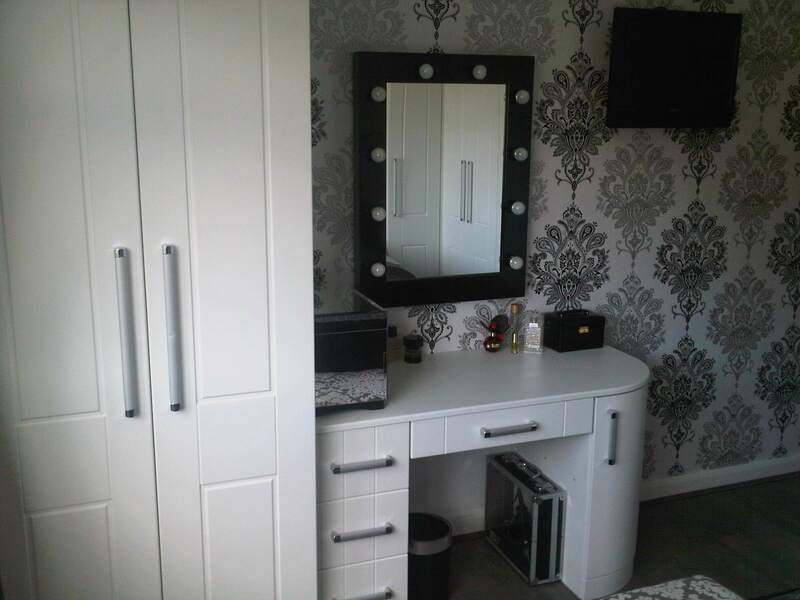 A large blank canvas provided an opportunity for elegant storage space, and the use of the curved corner doors meant the bedroom flowed beautifully. 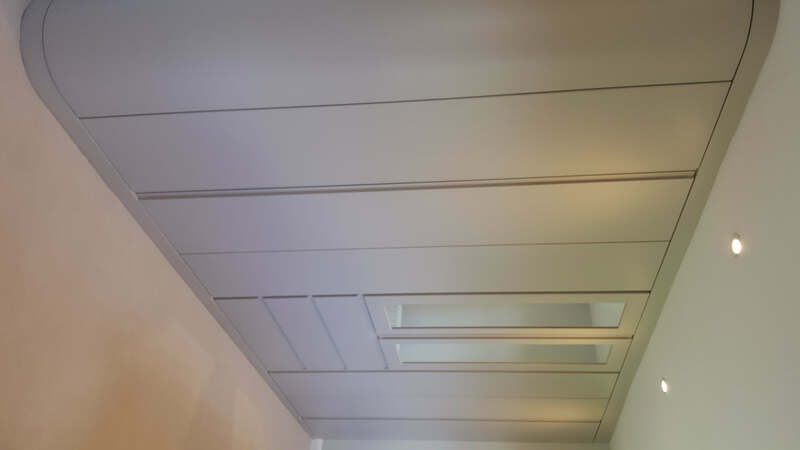 Elegant ceiling lighting provided a perfect solution for soft lighting in this sophisticated room. 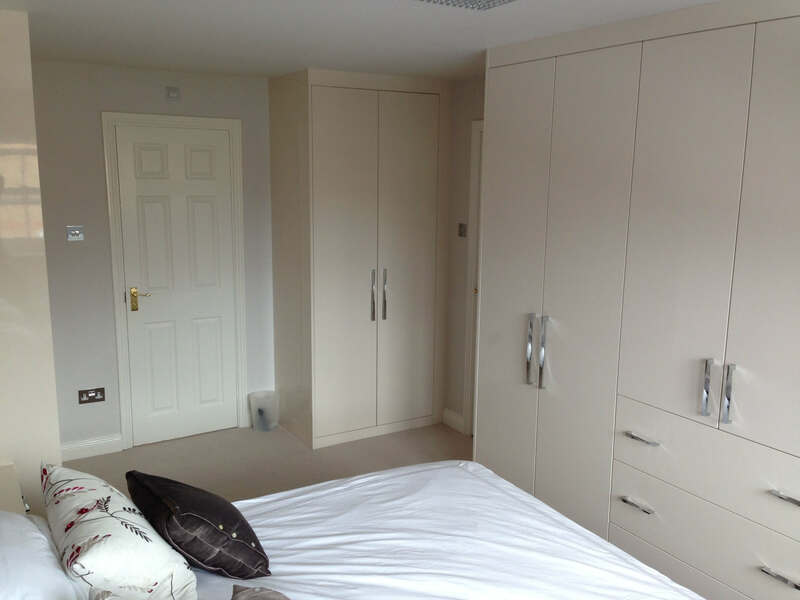 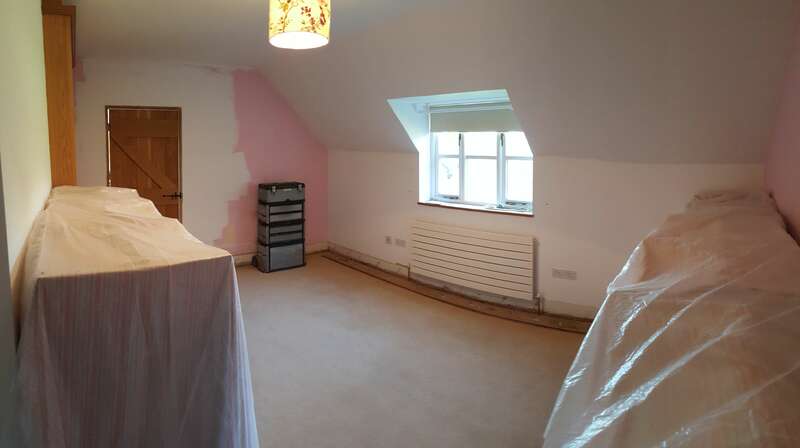 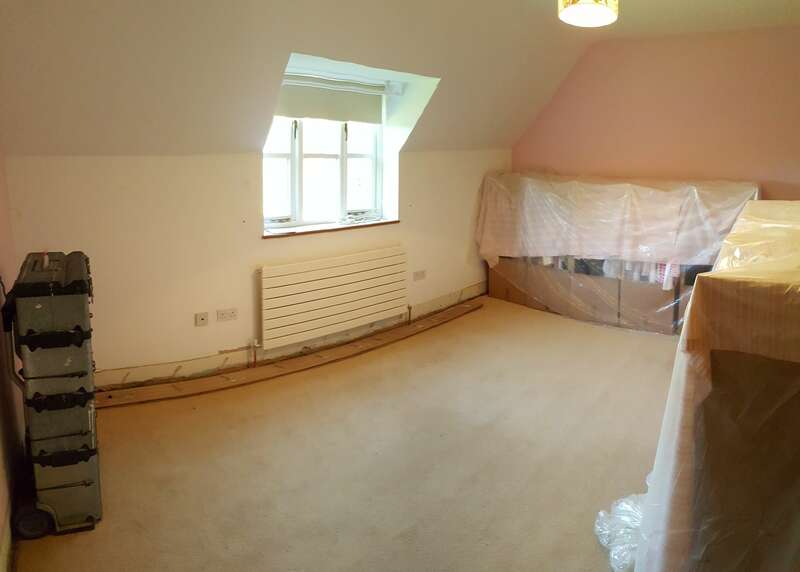 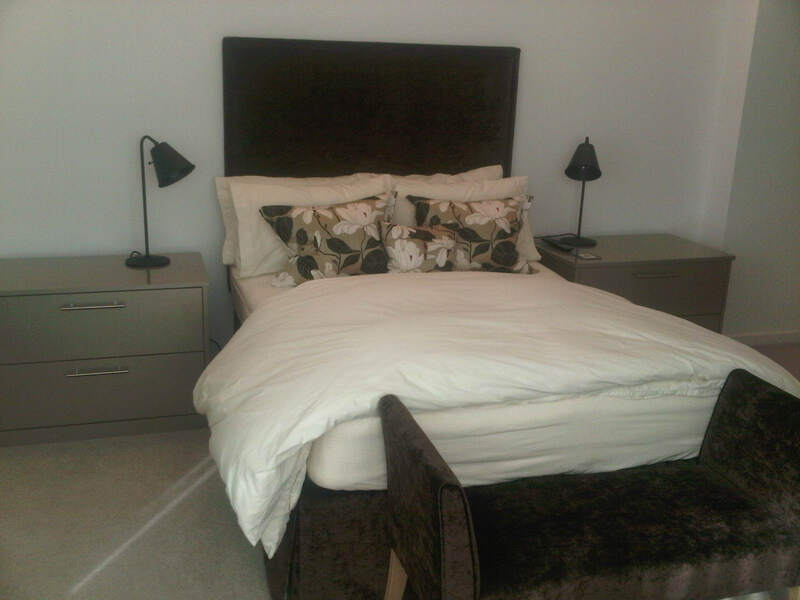 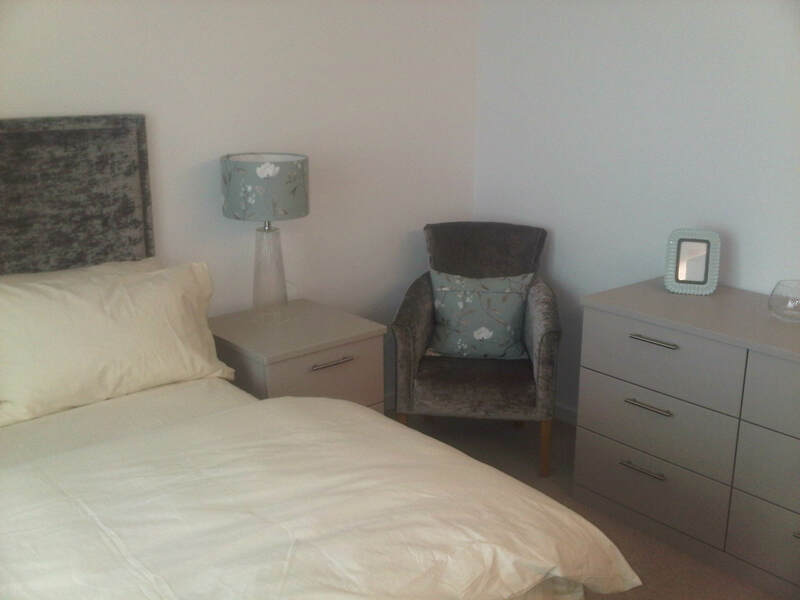 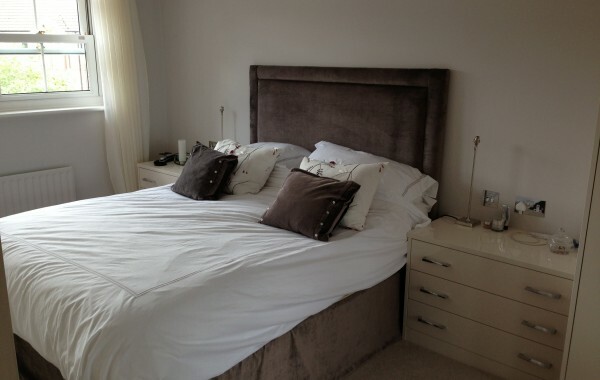 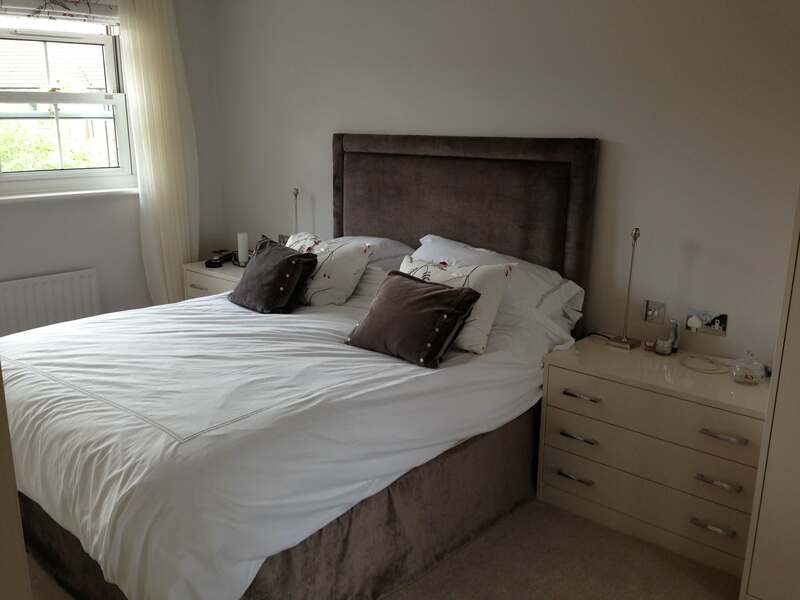 When it comes to designing bedrooms, making good use of space is important. 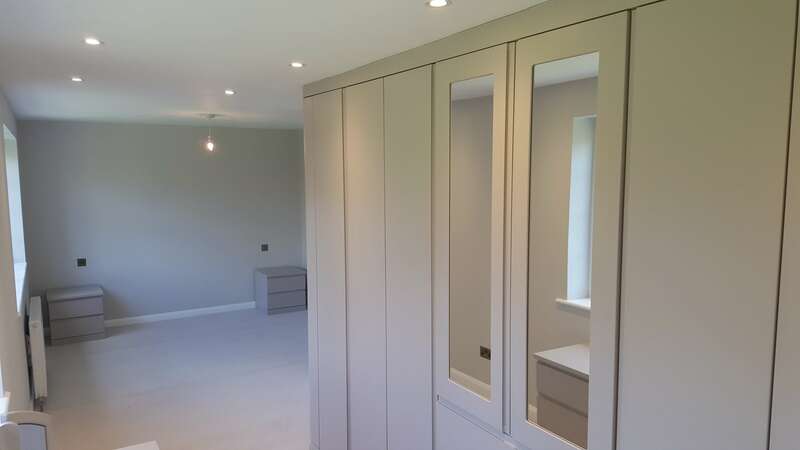 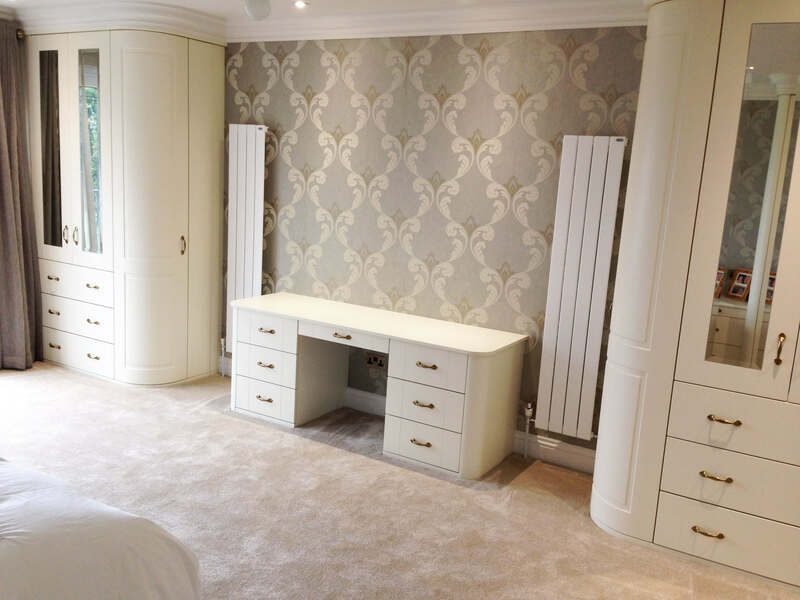 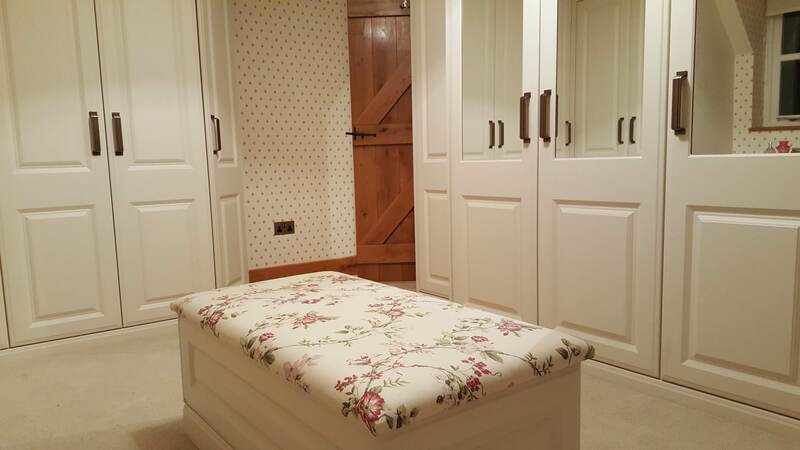 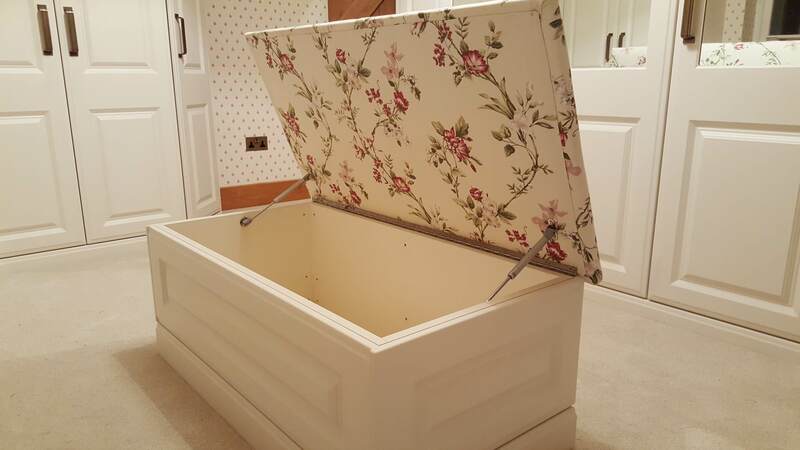 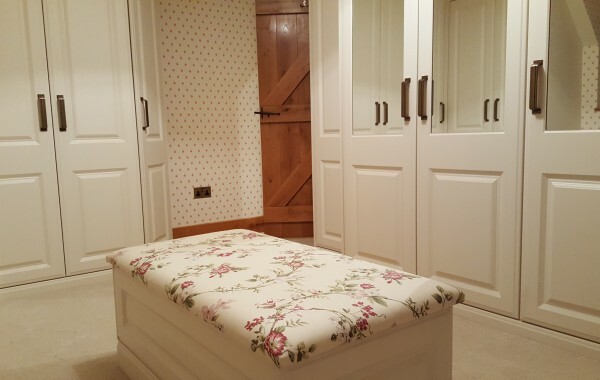 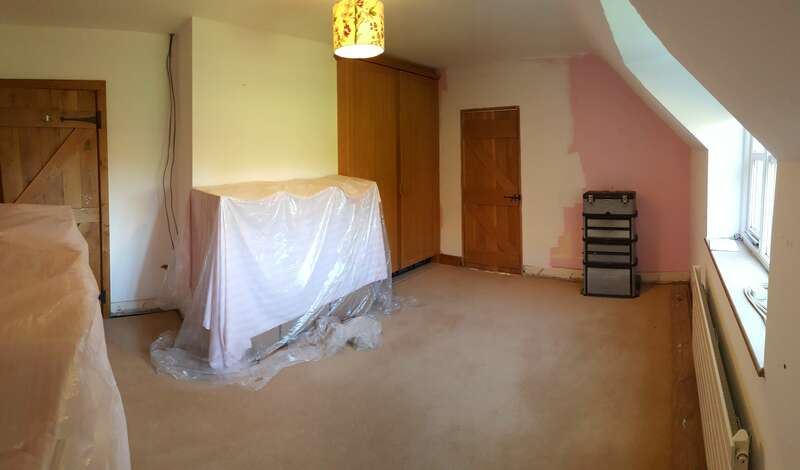 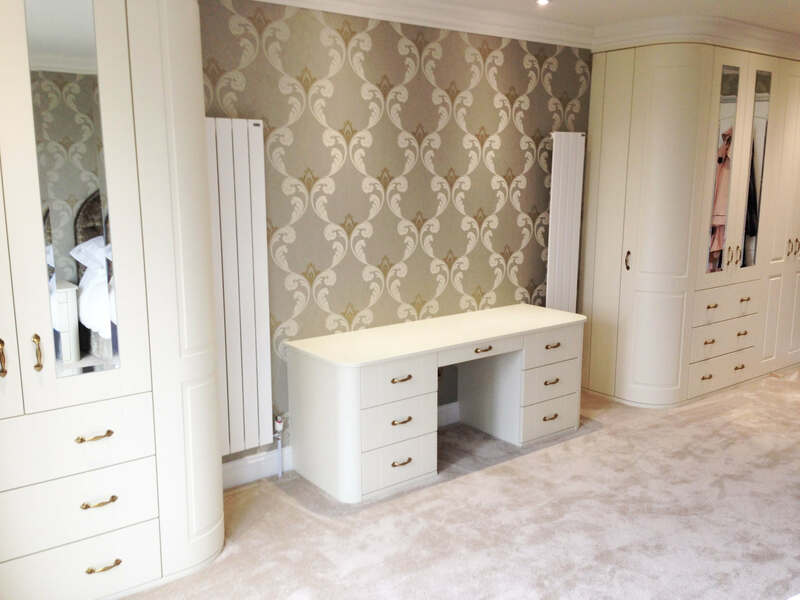 This particular bedroom gave IDM the opportunity to show our craftsmanship, and create high quality storage within an unusual shaped area.